Any home repair can be frustrating, but some repairs are particularly troublesome. A dead air conditioner in the heat of the summer, a failing refrigerator full of food, an oven that won’t turn on — and it’s Thanksgiving Day. These home repairs can leave you stuck and make your home uncomfortable and frustrating to live in. In some cases, you may even have to stay somewhere else until they are resolved. They are particularly frustrating because something essential in your home breaks down, and you have to work quickly to fix it. But not every home repair has to be frustrating. There is good news: there’s always a way to fix it — and we will show you how. In this article, we share some of the most frustrating home repairs that can happen, explaining why they’re such a problem, what you can do to fix it, and how you can stop it from happening in the future, too. Often, good maintenance habits, regular inspections, and staying on top of warning signs are all that’s needed to prevent some of the worst and most frustrating home repairs from happening. Read on to learn about frustrating home repairs, how you can fix them, and which maintenance tasks you should stay on top of to avoid running into one of these home repairs that are tough to deal with. She discovered that the oven had in fact died. Fortunately, one of her guests lived close by and they were able to use their oven. Dinner was delayed, but it was all good. Supplee ended up having to replace the oven. Why it happens: Ovens can fail for a number of reasons. It could be that the heating element is burned out, your electronic control board is not working properly, the safety valve is not working, your temperature sensor is malfunctioning, or the igniter has failed. How to fix it: If your oven is dead on Thanksgiving Day, you’re probably out of luck unless you can find a nearby oven like Supplee did. A broken oven will need repair or replacement to get back in working order, but a repair professional will be hard to come by on Thanksgiving Day. 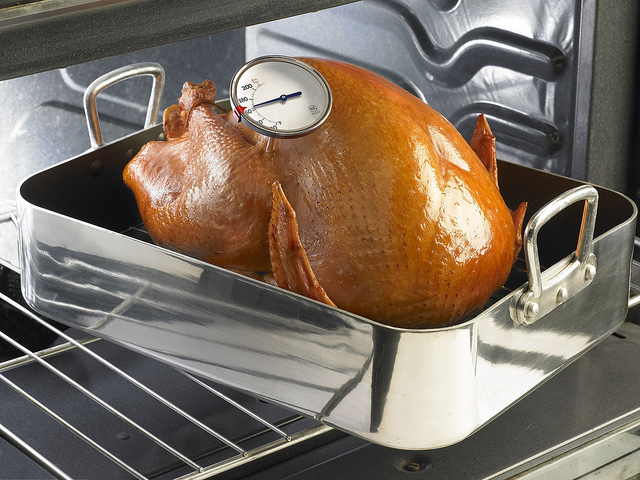 How to prevent it: You can do your best to avoid a Thanksgiving oven mishap by testing your oven out in the days before the big holiday. If you don’t use your oven daily, make sure to turn it on and check to see that it is heating up properly. If you notice issues, get in touch with a repair professional immediately so they can fix the problem well before the big day. If your oven is dirty, resist the urge to run a self cleaning cycle on it before major holidays. Self cleaning cycles can be really hard on your oven, sometimes burning out heating elements or even your control panel. Doing so can leave you with a broken oven just before you really need it. If you absolutely must clean it right before the holidays, use elbow grease instead of the self cleaning cycle. Lauren Haynes, home maintenance expert at Star Domestic Cleaners says a damaged and leaking roof caused by clogged gutters is one of the most frustrating home repairs. It often happens in the winter and can cause serious damage, as parts of your roof and the trim of your home rot, break away, or otherwise let moisture into your home. Why it happens: This problem happens often when gutters are clogged due to leaves and rain, causing a water backup. If temperatures turn freezing, those water backups can become ice dams and damage your roof, allowing water and moisture to get inside. How to fix it: Once the damage is done, you’ll have to call a roofing company for a professional fix. Roof leaks are difficult to diagnose and repair properly, so it’s best to call for help from an experienced professional who can get the job done correctly and prevent further damage to your home. How to prevent it: Gutter cleaning may not be the most enjoyable home maintenance task you can think of, says Haynes, but it is essential for keeping the property well protected from water and moisture. Without a proper gutter system that directs rainwater away, the ceiling, walls and foundations of your house can be easily damaged. 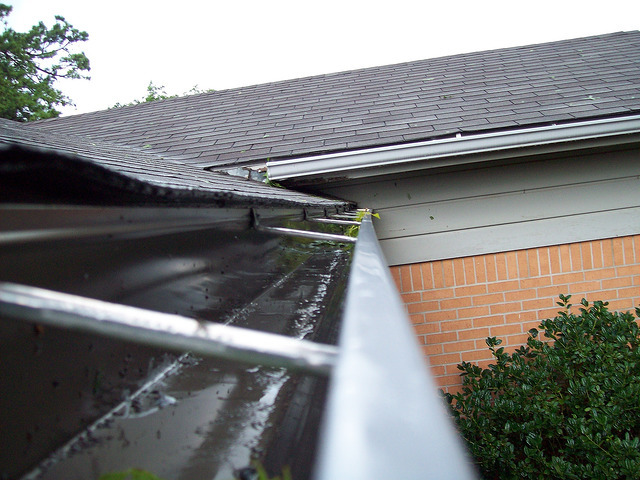 A regular gutter cleaning and inspection helps prevent such problems in the long run. Haynes recommends a close inspection that can reveal broken, cracked, or otherwise failing rivets or seals. You should check the fascia boards for rotting areas or any panels that have come away from the walls. All trouble spots should be repaired or replaced. After inspection and repair, Haynes encourages home owners to clean gutters and downspouts so that they’re clear of falling debris and leaves. She recommends scooping it out into a bucket and using a stiff brush to wash away and clean up the remaining dirt inside the top to ensure thorough gutter cleaning. For a thorough clean, use plumbing rods or a long pole to check that there are no further blockages of wet leaves or debris. Using a hose, or, if you have one, a pressure washer, clean out the guttering by letting the water release in the direction of the downspout. If the water doesn’t directly come out at the bottom of the downspout, then you’ll know that you have some debris blocking the pipe, which you’ll have to push out to clear the obstruction. Elizabeth Dodson, cofounder of HomeZada says plumbing repairs home owners don’t know how to handle can be incredibly frustrating. For example, an overflowing toilet or a burst pipe may require the help of a plumber to fix. And plumbing issues can quickly get out of hand, flooding your home and causing serious (and expensive) damage. Why it happens: Plumbing can fail due to clogs, slow leaks, or simply old pipes. 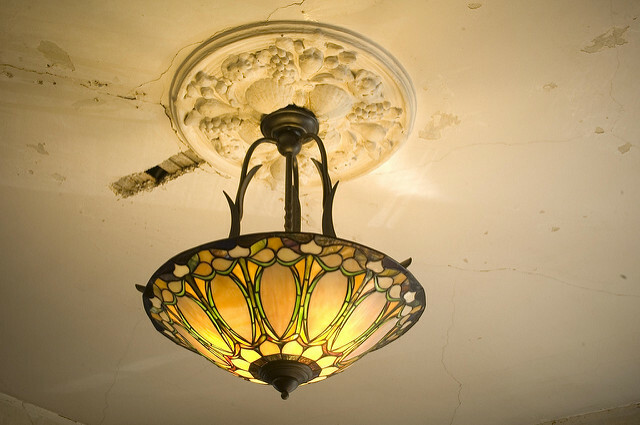 You can even have faulty fixtures, frozen pipes, and other problems. 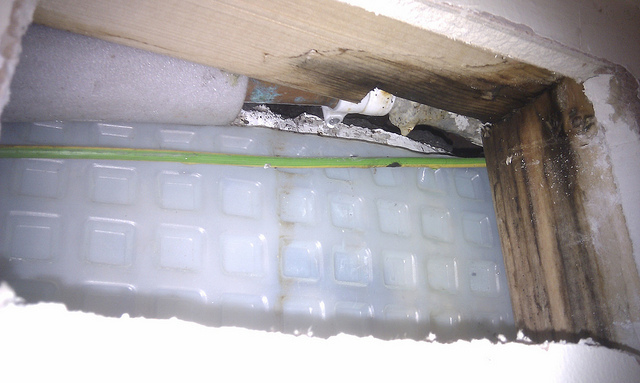 A plumbing failure is nothing to ignore, as it can become serious very quickly. How to fix it: Dodson says that while the average home owner may not know how to fix a burst pipe or broken toilet, it is good to know how to shut off your water at your toilets and your main water supply. If you’re able to do this, you can stop damage from water in your home, potentially saving thousands of dollars in repairs. How to prevent it: The best way to prevent plumbing surprises is to carefully maintain your plumbing system. Insulate your water heater and pipes and inspect faucets inside and out to make sure water is flowing freely. Don’t allow unflushable items to be flushed in the toilet, like paper towels, wipes, sanitary napkins, cotton swabs, or floss. Pull hair out of shower drains and use a metal drain cover to catch hair in the tub as it’s drained. You can also snake your own drains to bust up small clogs regularly so that they don’t become big problems. Modern homes simply don’t run without electricity. Your refrigerator, air conditioning, TV, none of it runs if your electrical system isn’t working. So if your electrical system is having problems, your home essentially shuts down. And unfortunately, electrical repairs are the most difficult to DIY, as they can be incredibly dangerous to handle if you don’t know what you’re doing. Why it happens: Wiring can get old, so do breaker boxes. Other problems are caused by loose wires, electrical malfunctions, or improper wiring or installation. How to fix it: Fixing electrical issues is definitely left the professionals, says Dodson. The worst thing that can happen is you get electrocuted or shocked from trying to fix something that is not in your wheelhouse or your experience. How to prevent it: If you notice problems like losing power to only part of your house, flickering lights, switches or outlets that don’t work, frequent tripping of circuit breakers, popped fuses, large or frequent sparks when you use an outlet, feeling a mild shock or tingle when you touch an appliance or plug something into an outlet, or even a strange electrical smell or warmth on your walls near outlets or ceiling fixtures, you could have an electrical problem. The best way to prevent surprises with your electrical system is to stay aware of signs of problems and get help from an electrician right away if you notice them.